Denton and Reddish MP, Andrew Gwynne, has joined Parliamentarians from across Europe in condemning the attacks on the Rohingyas in Myanmar and calling on Europe to do more to stem the violence. 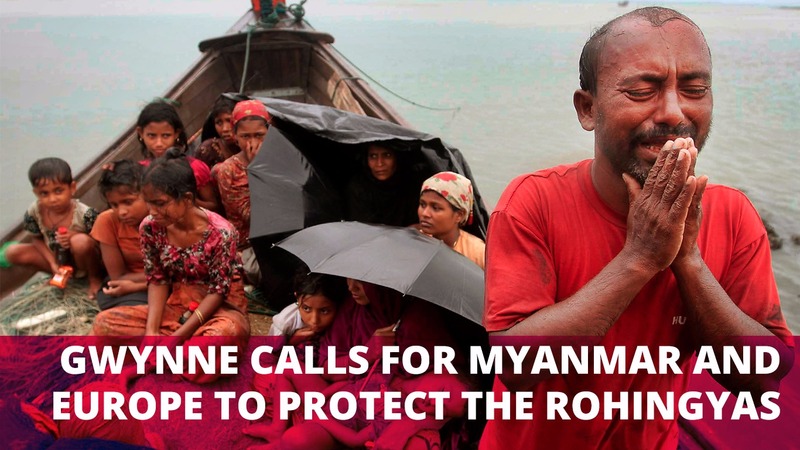 One of the largest stateless people of the world, regularly targeted by some nationalist groups, discriminated against for decades, today the Muslim Rohingyas of Myanmar are the victims of violent abuses by the army, which the UN High Commission for Human Rights classifies as “seems a textbook example of ethnic cleansing.” Currently, there are more than 300,000 children, women and men who have fled to seek refuge, with most entering neighbouring Bangladesh. The call was organised by the Elie Wiesel Network of Parliamentarians of Europe and has pushed for European States and the European Union to take greater responsibility in order to ensure the protection of populations in danger, no matter what side of the conflict they find themselves. “The events in Myanmar over the past few months have rightly shock the world and as such we urge all sides to show restraint towards the civilians population. “This is one of the worst examples of violence in decades, as such, the international community has got to do much more to end it; however I’m glad Parliamentarians from across Europe have joined forces to speak with once voice on this issue.